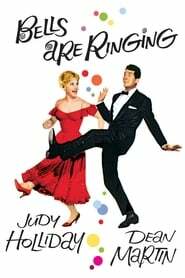 Based on the successful 1956 Broadway production of the same name by Betty Comden, Adolph Green, and Jule Styne, the film focuses on Ella Peterson, who works in the basement office of Susanswerphone, a telephone answering service. Peterson, based on Mary Printz, who worked at Green’s service, listens in on others’ lives and adds some interest to her own humdrum existence by adopting different identities for her clients. They include an out-of-work Method actor, a dentist with musical yearnings, and in particular playwright Jeffrey Moss, who is suffering from writer’s block and desperately needs a muse.